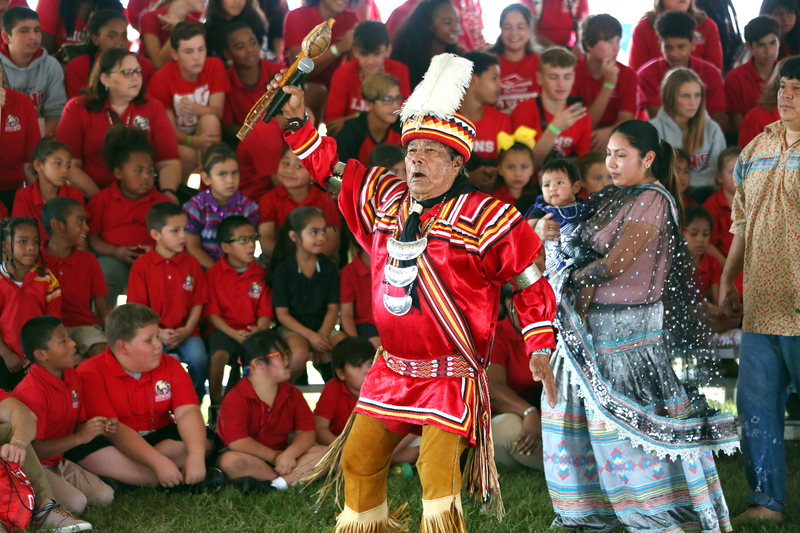 BIG CYPRESS — A record crowd of nearly 2,500 reveled in the sights and sounds of the Ah-Tah-Thi-Ki Museum’s 21st annual American Indian Arts Celebration. 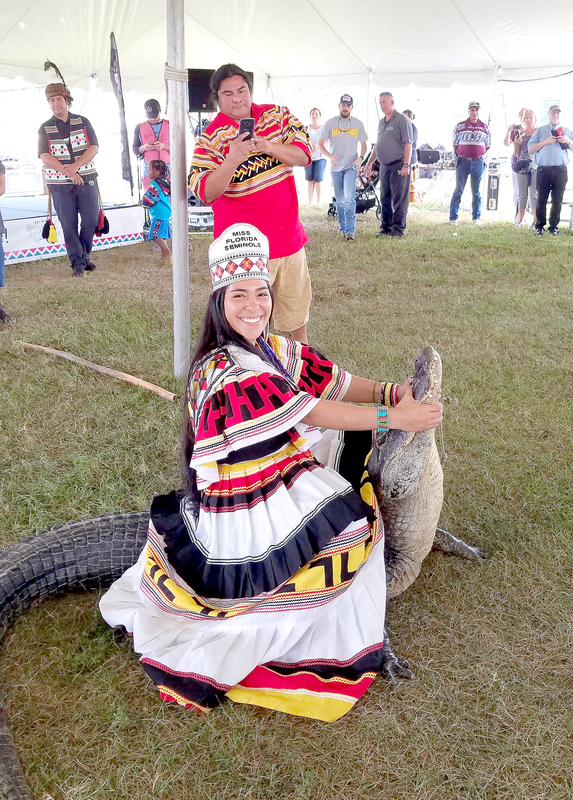 Attendees from as far away as Germany and as close as the Big Cypress Reservation took in the art, crafts, music, dance, gator wrestling and food Nov. 2 and Nov. 3. 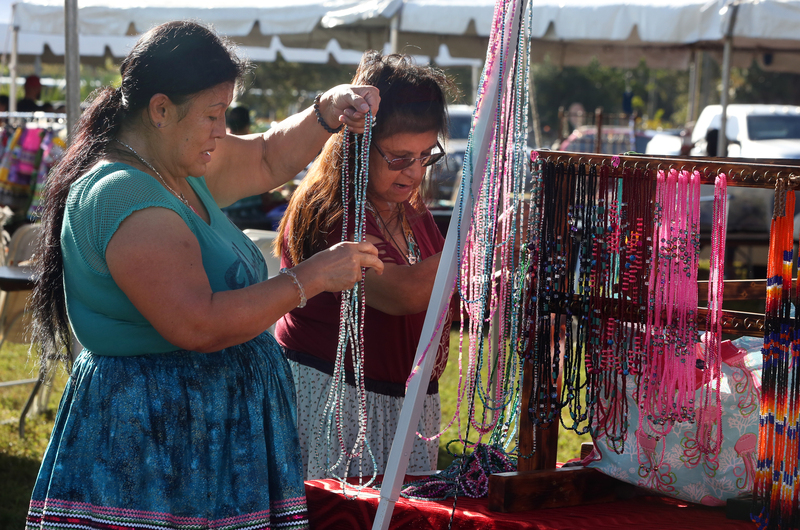 Seminole artists displayed and sold traditional patchwork, beadwork, carvings and more to customers young and old. “It’s nice to see such a big turnout,” said Big Cypress Councilman Mondo Tiger. About 1,000 students from Miami-Dade, Broward, Palm Beach and Collier counties enjoyed all the AIAC had to offer on the first day. 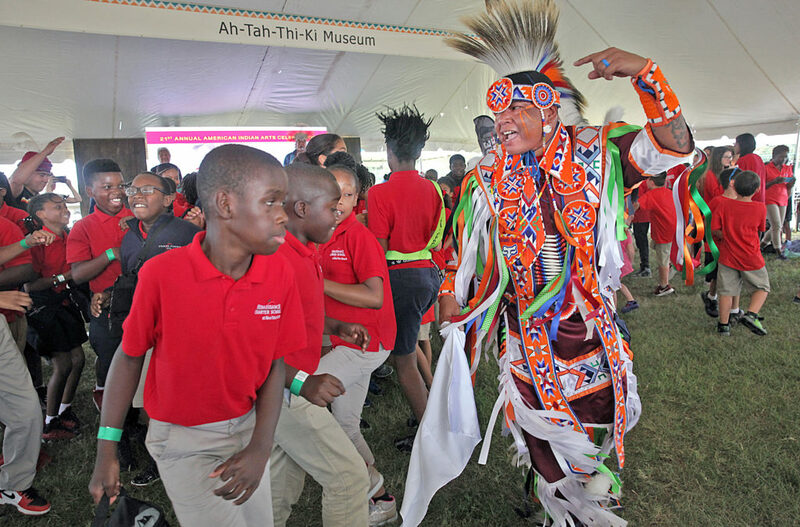 The energetic students filled the main tent for the friendship dance, the Minnesota-based Native Pride dancers’ demonstration and Billy Walker’s act of bravery as he wrestled a gator into submission. The morning began with the friendship dance led by Bobby Henry, who said the dance could last up to a couple of hours but he would keep it much shorter. Henry, Miss Florida Seminole Cheyenne Kippenberger, Jr. Miss Florida Seminole Allegra Billie and Tribal members led hundreds of students in ever-tighter spirals in the tent to the steady beat of Henry’s song. Native Pride dancer Larry Yazzie, Meskwaki, performed the eagle dance. With his enormous eagle regalia, Yazzie simulated the moves of an eagle in flight and landing. Some of the students mimicked his moves in the stands and sidelines of the tent. Dancer Arlan Whitebreast, Meskwaki, demonstrated the grass dance. Later, the two men led a crowd of students in a dance lesson, complete with song and drum. The kids tried out the dance steps with great enthusiasm. 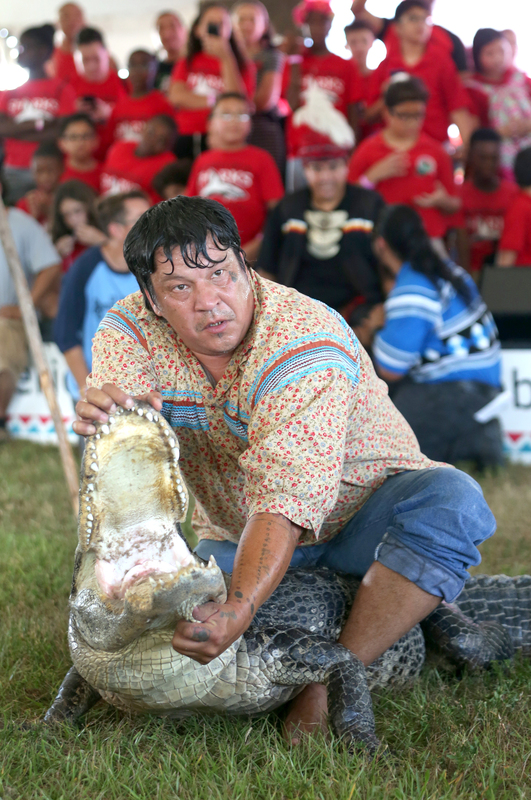 When Walker’s gator wrestling demonstration was announced, the tent filled to capacity quickly but plenty of visitors who couldn’t find a seat stood on the periphery of the tent and the stage. Walker gave a brief history lesson about how alligator wrestling became important to Tribal members in the early part of the 20th century. 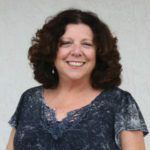 They used to eat alligators and sell the hides, but when tourists started watching the process of capturing a gator, it became an important source of income. Virgil Doctor donated some of his late mother Minnie Doctor’s traditional dolls to the museum; she passed away in June at age 91. 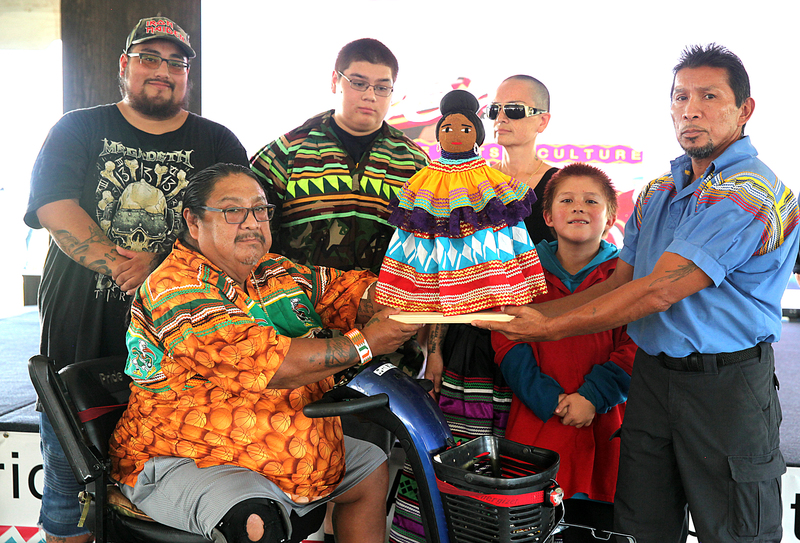 Doctor and family members gathered at the front of the tent to present a large doll to Ah-Tah-Thi-Ki, which traditional interpretation coordinator Daniel Tommie accepted on its behalf. Plenty of traditional food was available to taste, including fresh cut swamp cabbage prepared by Walker. 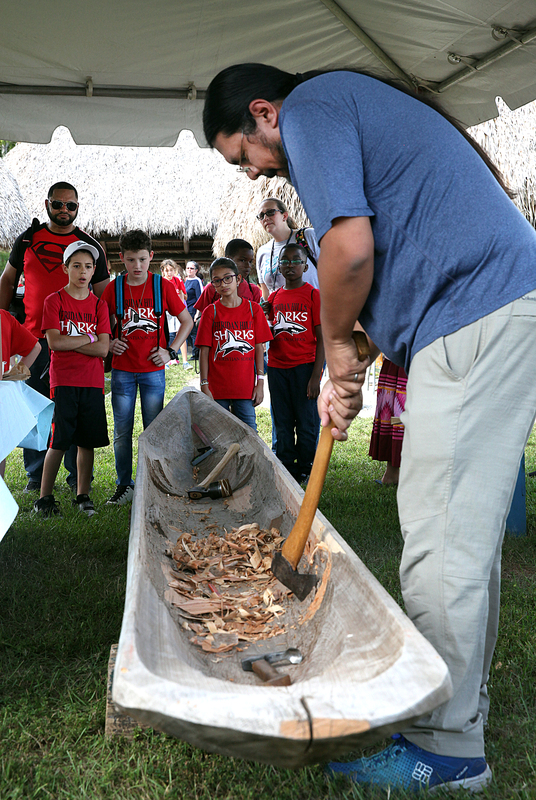 A demonstration tent featured Tommie and some of carvings, a display of New Zealand indigenous Maori people’s canoes and carvings as well as a canoe being carved by Tribal member Pedro Zepeda.